I was once enticed by Bali. Suffice to say, her charm has once again ensnared me. It isn’t the picturesque natural beauty and living culture that has brought intrigue to me again, and it’s certainly more than the tourist attracts, restaurants and bars, it’s the history of the island’s religion that has piqued my interest. Everyone sees it; the island is changing irreversibly as modernisation takes hold. 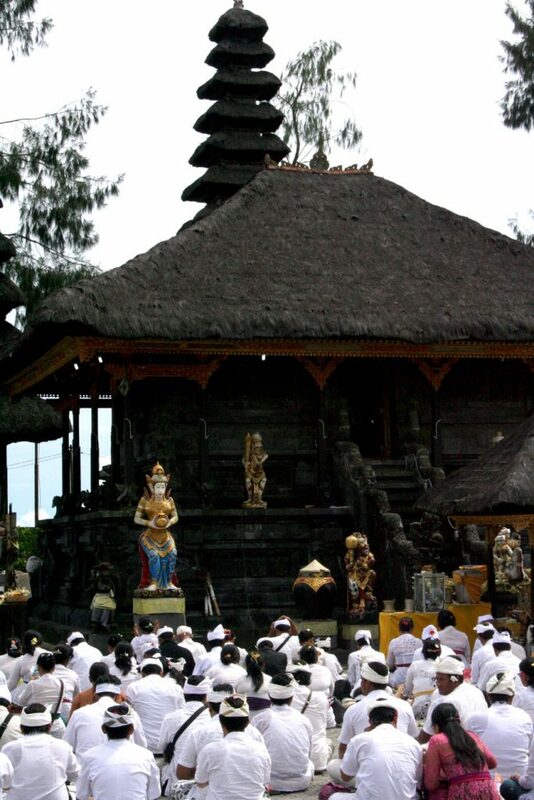 Maybe Bali’s customs and religions are the island’s last cultural stronghold. 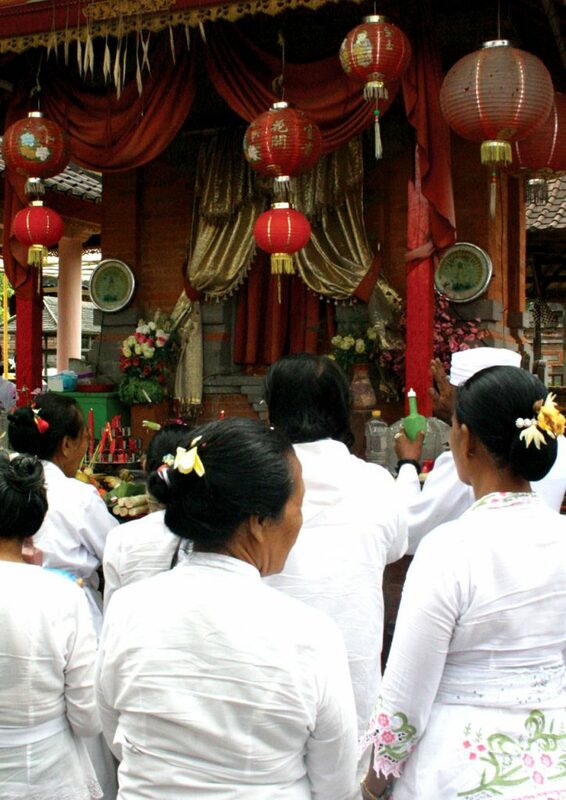 Life in Bali, just like anywhere else in Indonesia, is multicultural; the local Balinese Hindus coexist with Javanese Muslims in a population dotted with Chinese Buddhists. These religions, especially the latter, influence the lives of the locals beyond the confines of the temples. 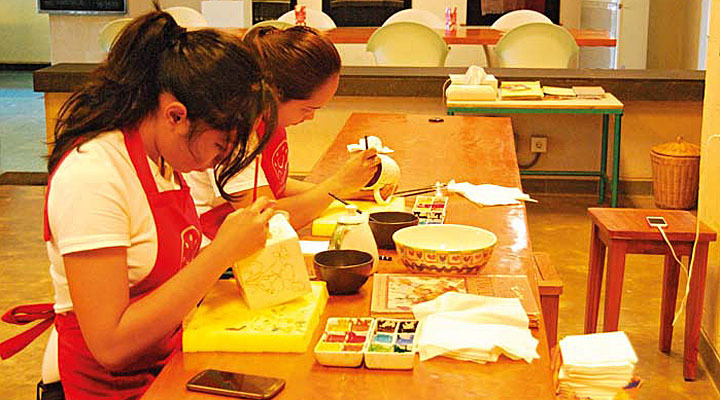 That’s right, Bali has a long history with China, and it all started when the first people from mainland China arrived on the island’s shores early in 12th century. 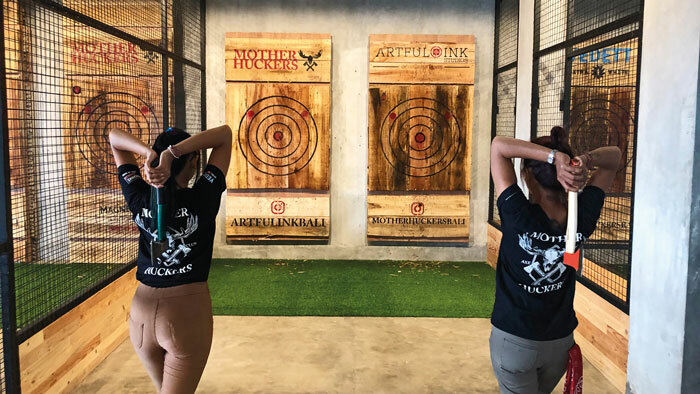 A story is often told of the then king of Bali, Sri Jaya Pangus, fell madly in love with Kang Ching Wie, the daughter of an influential Chinese merchant and ship captain. King Jaya Pangus ruled in what was possibly the most exhilarating historic period of the Balinese kingdom. He defied traditional law by taking Kang Ching Wie of the Chinese Kang dynasty to be his first lady. The disapproval of the high priest did not stop the king and the power of true love. He moved his palace to a new location known as Balingkang, derived from the words “Bali” and “Kang” dynasty. There, in a relatively short time, he soon gained strong followers and became one of Bali’s most respected kings. Sadly, without a blessing from the high priest, the couple was childless. 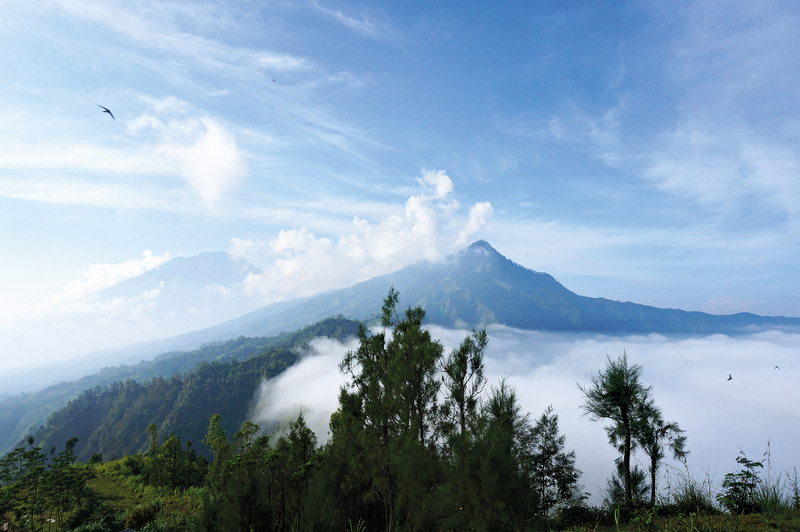 Frustrated, the king set out on a pilgrimage to the nearby temple of Mount Batur in Kintamani. There he met the goddess of the lake, Dewi Danu, and a romance soon followed. The couple was blessed with a baby boy. The love affair was discovered, to the shock of both Kang Ching Wie and Dewi Danu; a fierce fight ensued, but of course the powerful goddess prevailed, turning the king and his Chinese queen into stone statues. However, the couple’s divinity is still highly respected by their people today, and their effigies are carried around during the celebration of Bali’s most elaborate holy days, Galungan and Kuningan. 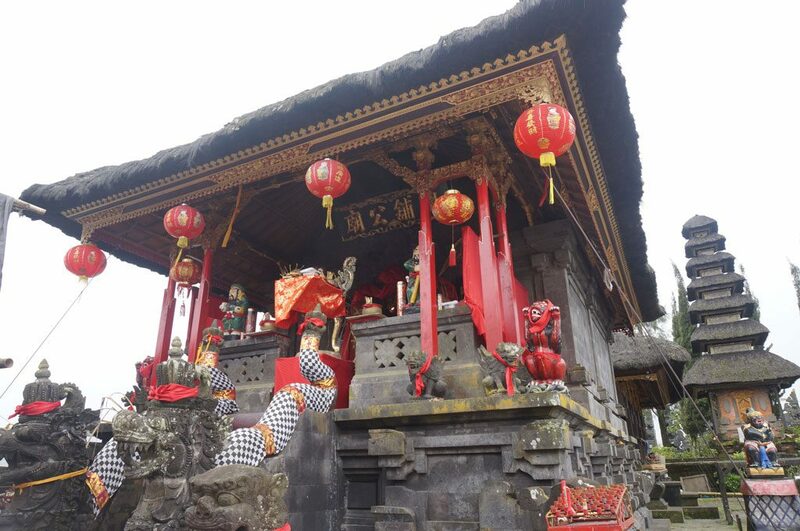 Today, the Chinese influence can still be seen at Pura Sad KahyanganUlun Danu Batur in Kintamani. The temple, which is said to be the second most important in Bali after the Mother Temple Besakih, is dedicated to DewiBatariUlun Danu. 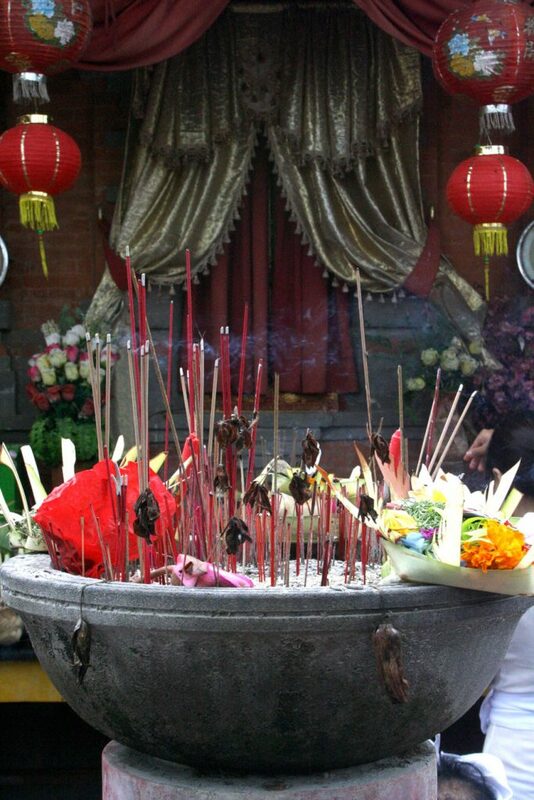 It also allows the Buddhist pilgrims to pray, as a Buddhist shrine is also placed within the temple compound. Yet, don’t imagine that most of its visitors are Chinese, for it’s in fact most frequented by the local Balinese people for prayers. Only a small number of Chinese people in the know visit the shrine at the temple. Until 1926, the temple and the village of Batur was located down in the caldera, at the foot of the Batur volcano. 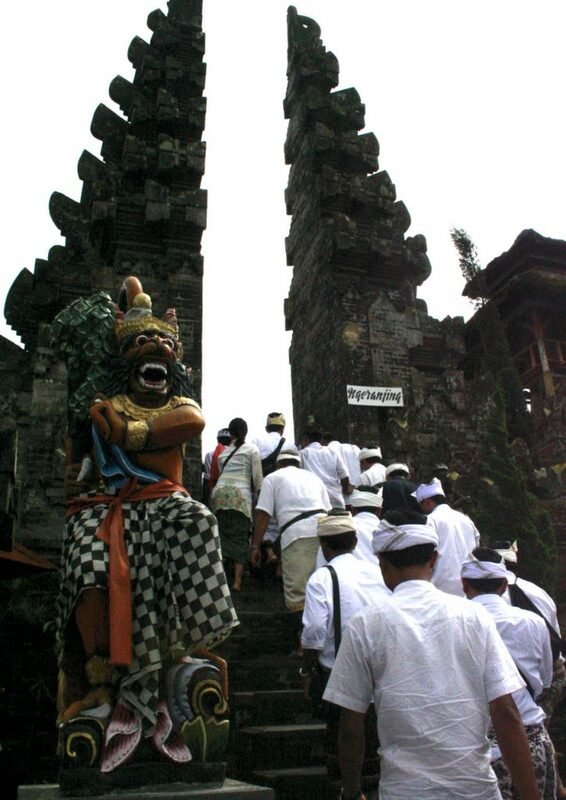 After the volcano erupted violently in 1926, both the village and the temple were destroyed, except for the most important shrine, an 11-tiered merutower dedicated to DewiBatariUlun Danu. The villagers moved it to the highest and oldest rim of the caldera, where they rebuilt their village and the temple. Another temple with a strong Buddhist influence in the greater Kintamani region is Pura PenataranAgungDalemBalingkang. Follow the northern rim of the outer crater, from where you can take in the wild and rugged beauty of the volcano. The road leads to Pinggan on the crater’s north side, which curves southeast to Songan. After traversing pine forests, coffee, clove, orange and lemon plantations, you will find Pura PenataranAgungDalemBalingkang just before an area called Belandingan. You can see the Chinese shrine at the Pura PenataranAgungDalemBalingkang, which is supposed to have been named after Kang Ching Wie. Although the temple is located in a remote place, found only by travelling to winding village roads, the serenity of this location up on the hills is certainly worth the visit. Ceremonial temple festivals at this temple normally take place for a nine to eleven-day period during the full moon of Kelima (around November) in accordance with the Balinese lunar calendar. Anyway, this grand story of King Jaya Pangus’s love affairs is reproduced onstage by the Bali Theater at Bali Safari and Marine Park, in its equally great show, Bali Agung Show, in a massive performance by hundreds of Bali’s most talented dancers and performers with dozens of live animals. The set is extravagant, with a magnificent visual show of effervescent arts and sophisticated sound and lighting, performed on an advanced multimedia stage.